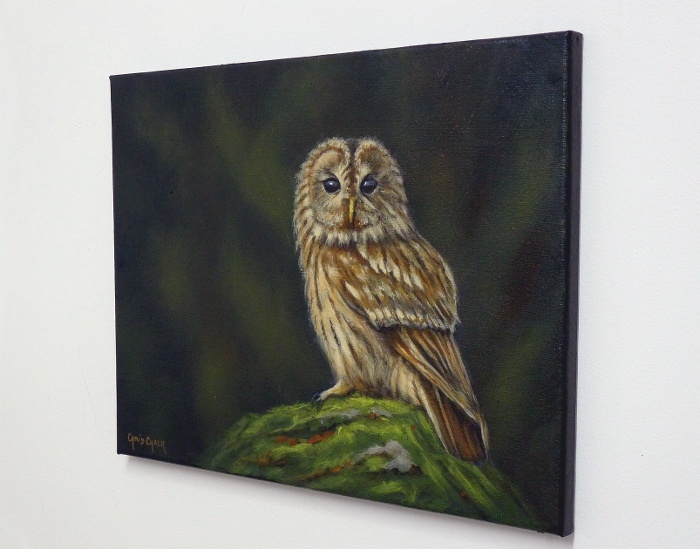 A painting of a Tawny Owl. 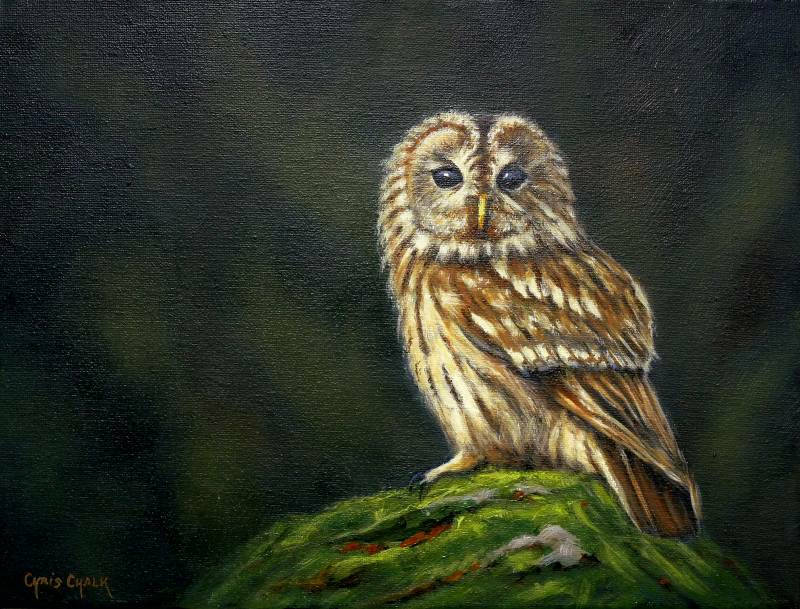 Tawny owls are British birds of prey that are often heard in Autumn, but are very seldom seen, they are one of UK's most elusive birds. Their mottled plumage is striking and designed for camouflage.